Stentor manufactures nozzles, thruster tunnels, closing plates, rudders and various other propulsion related Steel structures for a large variety of vessels such as: inland vessels, tugs, fishing vessels, offshore platforms and drill ships. All kinds of vessels were demand for improved thrust and power are a necessity. Stentor offers products characterized by high quality and on time delivery against straightforward prices. General steel constructions and assemblies. With its skilled workforce Stentor is capable of producing complex, high quality (sub)assemblies and complete products in both carbon steel and stainless steel/duplex materials. With its capabilities Stentor addresses all companies involved in shipbuilding, dredging, off shore and shipbuilding related industries. Clients of Stentor are looking for high quality steel structures, to fulfil their requirements. Stentor is proud that it can count all major maritime propulsion companies to its customers. 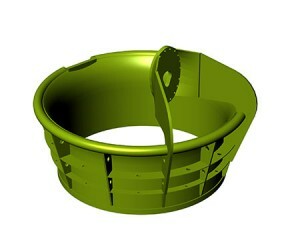 For all mentioned nozzles Stentor can use customer owned (and patented) designs or provide Stentor designs. Especially for customers who require a High Efficiency solution, with complete independence of choice on other propulsion components, Stentor offers the Stentor Easy Flow nozzle that combines high efficiency with the required freedom. 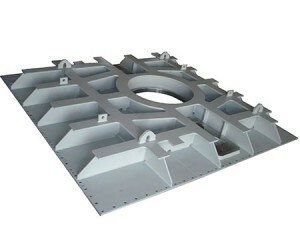 Thruster Tunnels are manufactured with great precision in all shapes and sizes. 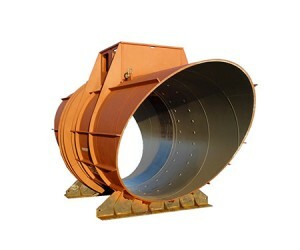 Typical tunnels manufactured range from 600 mm to 4.000 mm diameter and lengths up to 10.000 mm. Stentor has manufactured tunnels for standard electric and diesel driven thrusters, but also for Permanent Magnet Tunnel Thrusters (PMTT) for use in luxury and Mega Yachts. Depending dimensions the final machining of the tunnel can be done in-house or at selected, qualified subcontractors. Over the last years Stentor has built a considerate experience in the manufacturing of closing plates, which are also known as support plates and mounting plates. The combination of an experienced labour force combined with high precision machining capabilities at selected subcontractors has proven to be very successful. Stentor is able to manufacture, machine and finish even the largest structures with high precision under tight quality control. A more recent development is the manufacturing of Lower Gear Houses for selected customers. Stentor not only assembles and completes the LGH, but also mounts it on the designated nozzle and assures full Class Approval. Stentor is looking forward to assemble complete thrusters for delivery in SE-Europe and the Middle East; the proximity to the Constanta seaport is a strong advantage. Since 2011 Stentor builds machines for suppliers active in other markets. Based on extensive knowledge of welded, cylindrical and machined constructions, a Tier 1 European supplier of machinery for the production of concrete elements requested Stentor to provide precision steel constructions as base for their machines. After a successful pilot project the cooperation has grown into a partnership where Stentor provides the complete range of dedicated machines. Stentor produces all components in-house, including various complex gearboxes which are fitted with high-quality gears supplied by world class manufacturers.